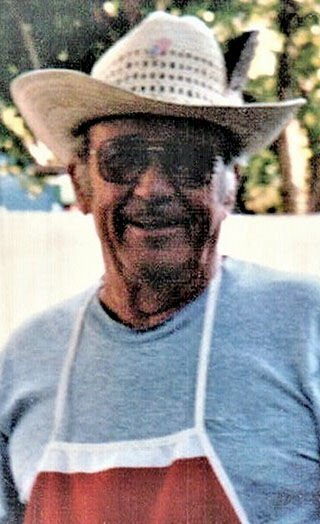 Donald DeWayne “DD” Siler, 90, of Cheyenne, Wyoming, passed away March 26, 2019 at the Davis Hospice Center. DD was born December 21, 1928 in Colfax, Wisconsin, a son of the late Albert and Grace Pearl (Schoonover) Siler. DD enlisted in the United States Air Force following his graduation from high school, and he served 30 years as a diesel mechanic, auto mechanic, aircraft mechanic and Minute Man Missile mechanic until his retirement as a Chief Master Sergeant. He also enjoyed working as a welding and heavy equipment instructor at Laramie County Community College while also working the Boeing Company. His greatest enjoyment was fishing, hunting and camping with his family and friends. DD is survived by his wife, Evelyn of 68 years; son, Terry “Butch” (Paula); grandchildren, Michael (Karen), Miranda, Becky (Zach), Donald (Kayla) and Kearra; and two great-grandchildren, Bryce and Zariah. He is preceded in death by his parents; daughter, Sherry Ann; six brothers, Willis (Clara), Earl (Helen), Dale (Marcella), Ralph (Eva), Dallas, and Harold (Ethlyn); and three sisters, Fern (Minard), Doris (Jim), and Ethyl (Art). A private family interment service will be held at a later date at the Mountain View Cemetery in Superior, Wyoming. Cremation is under the care of Schrader, Aragon and Jacoby Funeral Home.